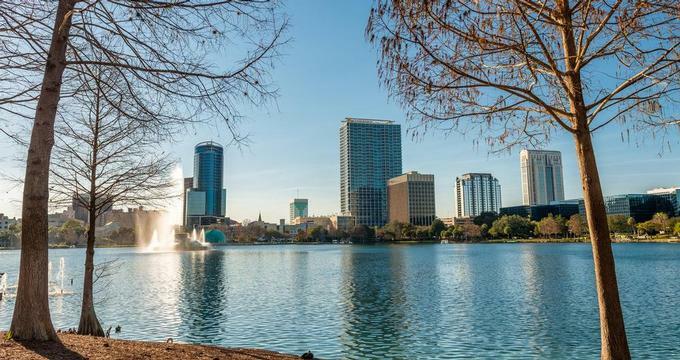 Orlando is home to some of the most popular amusement parks in the world for families, including SeaWorld, Walt Disney World, Universal Studios with its adrenaline-pumping roller coasters, and LEGOLAND Florida offering fun interactive experiences. In addition to the theme parks, Orlando has great Italian and Indian restaurants, unique wedding venues, free attractions, nearby beaches and other attractions. 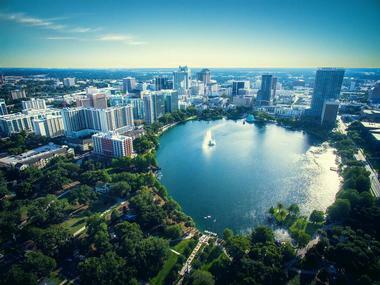 Here are the best things to do in orlando. Owned and operated by SeaWorld Parks & Entertainment, Discovery Cove is one of the top Orlando attractions that offers a one-of-a kind marine experience, where you can interact with sea animals, watch sea otters at play, feed tropical birds and even walk on the ocean floor. Enjoy a session in the water with bottlenose dolphins where visitors can swim, touch and play with dolphins under the friendly eye of dolphin training guides; snorkel along brightly colored reefs that are home to thousands of tropical fish, and get up close to tiger fish and sharks in their protected tank. Don a dive helmet and take a walk on the bottom of the ocean with the Grand Reef’s innovative experience, SeaVenture, where there is a new discovery around every corner. Stroll through the park’s free-flight aviary, which boasts over 250 tropical birds to interact with and feed, including parrots and toucans. Known the world over as ‘the place where dreams come true’, the Magic Kingdom Park at Disney World in Orlando does just that and more. Symbolized by the iconic ‘Cinderella Castle’, Magic Kingdom is the home of Disney’s characters such as Mickey and Minnie Mouse, Goofy and Donald Duck, and is the most visited theme park in the world. The Kingdom has six magical ‘lands’ to discover - the Bavarian-themed Fantasyland, Western-themed Frontierland, Adventureland, Main Street USA, and Liberty Square, and Tomorrowland, which looks to the future. 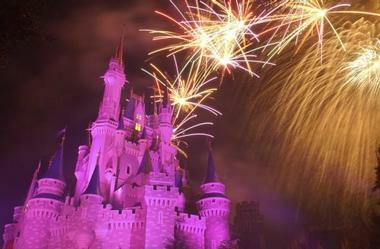 If you are looking for fun things to do in Orlando with kids, the Magic Kingdom Park is not to be missed. While exploring the various lands, watch musical parades featuring the beloved Disney characters and enchanting fireworks displays, browse the Disney-themed boutiques and shops, or dine in one of the many restaurants and cafés dotted around the park. If you are looking for things to do in Orlando that will let your kids play and feel creative, this is one of the best places to visit. 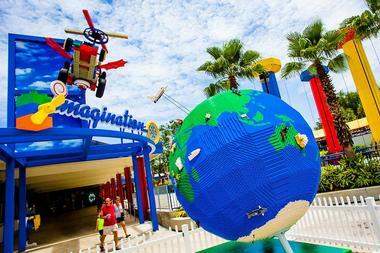 Situated just 45 minutes from Orlando and downtown Tampa, LEGOLAND Florida is laid out in 11 easy-to-navigate themed zones. These zones include the popular Waterpark – a fun-filled waterpark packed with a wave pool, water slides, and river rafting; Miniland USA, a fantastic miniature representation of the country; and LEGO City, where the kids can learn how to drive their own LEGO boats and cars under the watchful eye of LEGOLAND staff. The park’s latest addition is the LEGO World of Chima, which features a variety of interactive family experiences, such as character meet-n-greets, Cragger’s Swamp water play area, the SpeedorzTM Arena, and a new 4-D movie experience. 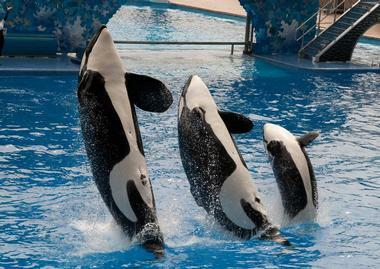 Sea World Orlando is a marine life-based theme park that offers attractions, rides, tours and shows for animal-lovers and thrill seekers alike. 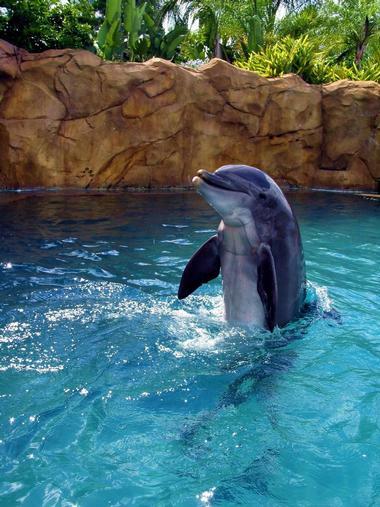 Consisting of three parks, namely Sea World, Discovery Cove and Aquatica, the zoological park provides plenty of fun for the whole family. Step into the icy world of Antarctica and experience the grandeur of the South Pole through the eyes of a penguin named Puck on an exhilarating family adventure ride. Explore a penguins' colony, observe their antics and get the chance to stroke one of these fascinating creatures. Enjoy an intimate, once-in-a-lifetime experience and swim with white beluga whales. Touch and communicate with these highly sociable animals under the guidance of personal animal trainers as you connect with one of the Arctic’s most fascinating creatures. End the day with a terrifying ride on the mighty Kraken, a monster rollercoaster ride inspired by the giant of the sea that struck fear into sailor’s hearts. Ranked as one of the world’s top coasters by ride enthusiasts, be sure you have a strong stomach for this death-defying, floorless steel rollercoaster that rises above the horizon. Family owned and locally operated, 4 Rivers Smokehouse is an award-winning smokehouse with humble beginnings that grew into one of Florida’s favorite places to get mouthwatering southern comfort food. Serving unrivalled barbeque, brisket, and all American dishes in a casual, laid-back ambiance, Four Rivers Smokehouse has fast become one of Florida’s most popular eateries. Aside from the brisket, pulled pork and barbeque for which it is famous, the menu also features sandwiches, sides and sweet treats. Service is friendly and welcoming in a cafeteria-style way. Today, Four Rivers Smokehouse has locations all across Florida, as well as a bespoke line of sauces and rubs. 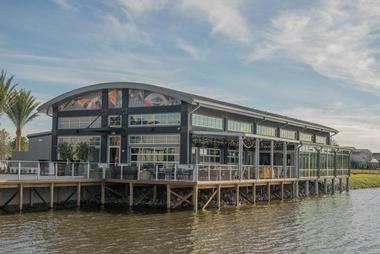 If you are looking for romantic date night ideas in Orlando, 4 Rivers Smokehouse is a great place to visit. Wall Street Plaza is a bustling complex of restaurants, bars, and nightclubs located on one city block in downtown Orlando and the place to see and be seen. Whether you are looking for a classic American burger, fresh oysters and champagne, or a night on the town with friends, Wall Street Plaza has something for everyone. 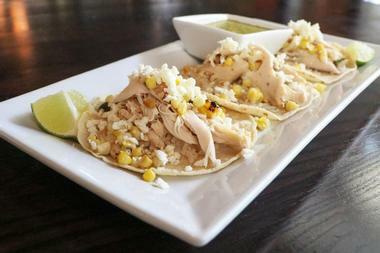 Feast on some of the best Mexican food in Orlando at Cantina or spicy chicken wings at Waitiki before heading to one of the bars for colorful cocktails, dry martinis and a huge selection of beer on tap. 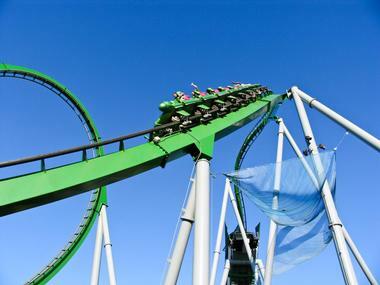 If you are wondering what to do in Orlando at night, this is a great place to visit. Dance the night away at Shine or hang out with Orlando’s sophisticated set at the Monkey Martini Bar. 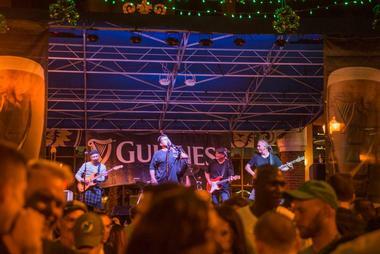 Wall Street Plaza hosts a number of events and parties, like St Patrick’s Day, Halloween and New Year’s Eve, with live music, DJs spinning the decks and plenty of specials on food and drinks. More weekend and day trips: 20 Best Things To Do in Miami. Lake Buena Vista Factory Stores is a vast shopping mall that boasts over 50 outlet stores, including Calvin Klein, Nine West, Nike Factory Store and Tommy Hilfiger. The outlet shopping mall hosts a number of events throughout the year, as well as seasonal weekend specials. The mall also provides a free scheduled shopping shuttle to and from select participating hotels and a ‘free coupon’ program, whereby coupons can be downloaded, and used in various stores. Lake Buena Vista Factory Stores has a number of high-end brand stores, children’s stores, gourmet food and coffee stores. Located in Winter Park, just north of downtown Orlando, Ethos Vegan Kitchen is a full-service vegan restaurant that serves healthy, hearty and homemade vegan fare from vegetables, grains, nuts, fruits and seeds. Ethos is one of a handful of fully vegan restaurants in Florida and serves a delicious daily menu with 100% vegan dishes made from organic ingredients, such as vegetable galette, chickpea salad sandwiches and tortellini Florentine. The restaurant also offers a small selection of vegan beer and wine, as well as vegan bakery items made from scratch in the on-site bakery. A brunch menu is offered on Saturdays and Sundays. There is free wireless Internet throughout the restaurant. Celebrating Mexico’s rich heritage and tradition of tequila making, La Cava del Tequila is a cozy restaurant and bar that honors its namesake through delicious tapas-style fare and an extensive tequila menu. Located in the Mexico pavilion at the Epcot World Showcase, La Cava del Tequila embraces you on arrival with the charm of its exposed facebrick walls, subtle low lighting and deep-set red leather seats that echo the warmth of a typical hacienda. La Cava del Tequila offers more than 100 examples of tequila to choose from, ranging from intense blancos to smooth añejos, as well as a ‘quick taste’ tapas menu akin to that served in Mexico. Feast on freshly made guacamole, crispy corn chips, salsas, and ceviche as you make your way through the tequila menu. Known as ‘the home of authentic New York-style pizza’, NYPD Pizza is a comfortable, casual chain that serves classic East Coast-style, thin-crust pizzas and calzones, as well as local brews on tap. Established by a native New Yorker Paul Russo in 1996 when he was unable to find authentic New York-style pizza after moving to Florida, the popular pizzeria now has franchises all over Orlando and has won numerous accolades for its superb pizza, friendly and welcoming service and comfy home-away-from-home atmosphere. However, it’s not only pizza that makes the cut – the pizzeria has a menu brimming with Italian delights, ranging from freshly made salads, homemade pastas and a variety of meat dishes. Don’t miss the New York Cheesecake or the Cannoli which are simply delicious. 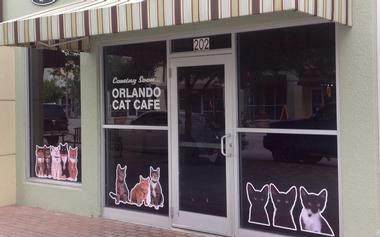 Located about 4 miles from Disney’s Animal Kingdom, in the town center at Cagan Crossings, Orlando Cat Café offers not only delicious paninis and other baked goods but also the opportunity to spend some time playing with cats and kittens or even adopt one. This unique coffeehouse has an adjacent cat play and adoption area, where the most adorable kitties are roaming and playing and waiting for someone to offer them a home. So, after you get your pastry and a hot cup of great Axum Coffee, stroll to the cat area, sit in one of their comfortable sofas, and enjoy some free kitty therapy. Just hearing them purr will make you de-stress. Orlando Cat Café works together with Axum Coffee and SPCA Florida to provide as much exposure as possible for those cats in need of a home. You can see the kitties and watch their antics from the coffee shop through a glass window if you love them but are allergic to their fur. American Ghost Adventures offers unique ‘Ghost Adventure’ walking tours through various areas of Orlando, where visitors can take in eerie looking buildings, dark city streets, and mysterious cemeteries famed for being haunted, as well as enjoy a more light-hearted haunted pub crawl. Visitors can choose from eight interactive ghost tours held throughout Central Florida, ranging from downtown Orlando (a walking tour and Haunted Pub Tour), Daytona Beach and Plaza Resort & Spa, to the Lakeside Inn, the Greenwood Cemetery and downtown Sanford. Private tours can be arranged for special occasions, as well as at-home investigations. Family-friendly tours are educational and fun, with local guides sharing their knowledge and expertise to teach visitors about the paranormal (Phone: 407-256-6225). Chroma is a vast, striking, sleek contemporary restaurant in Orlando’s Lake Nona neighborhood, and it is quickly becoming a favorite watering hole and gathering place for the new development. Airy and full of light, Chroma offers a range of interesting small shareable plates, imaginative cocktails, wines on tap and craft beers. They have a range of seating options – whether you are coming with a bunch of friends, a romantic date or business partners, you can choose to sit in a huge solarium, a cozy covered patio, or a pleasant outdoor lounge. Their best deal is the “for the table” option prepared for four people. Try delicious Jambalaya with House Andouille Sausage, Smoked Pork, Seared Shrimp, Cajun Rice, and Heirloom Tomato. 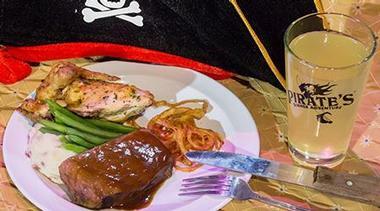 Pirate's Dinner Adventure is a family-friendly dinner show aboard an authentic replica of a 46-foot-long and 18-foot-wide 18th-century Spanish galleon. The ship is located in a 300,000-gallon indoor "lagoon" with lighting that simulates the night sky. A six-sided showroom surrounds the lagoon, the pirate ship and six more ships, in which audience sits and has a three-course dinner. Aboard the pirate ship is a kidnapped princess, her court, and vicious pirates. There are a lot of cannon blasts, swashbuckling fights, swishing swords, smoke and fire, and fun for all. Occasionally, guests are included in the action, making some kids very happy. Guests who come early can enjoy cocktails with the pirates, watch a magician, and listen to the storyteller spin his yarn of ancient seafaring lore. Overlooking Orlando’s Lake Nona, The Canvas Restaurant is a sleek industrial chic space where the view of the lake through floor to ceiling windows contrasts nicely with high ceilings, exposed pipes, and utilitarian furniture. The cuisine is New American influenced by Southern and Latin American flavors. Executive Chef Jason Bergeron uses seasonal and regional produce and an abundance of fresh local seafood to produce a large menu that changes seasonally and offers traditional dishes with a modern twist. 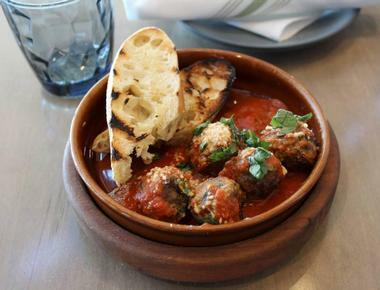 Try Brisket and Short Rib Meatballs with almond-roasted red pepper sauce and house-made ricotta served with grilled ciabatta or Chicken Wings Glazed in Habanero, lime zest, and clover honey, served with garlic-buttermilk dipping sauce. On the way out of the restaurant, check their home-goods store that sells gifts, home goods, and select food items. Located in Winter Park’s charming Historic District, Cocina is a trendy Tex-Mex restaurant that works nicely for a romantic date, a power lunch, or an evening out with the family. The menu has everyone’s favorite Tex-Mix dishes such as tacos of all kinds, quesadillas, fajitas, and many delectable small plates like fried avocado bites and queso fundido. 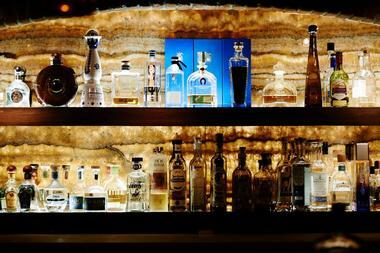 With 12 types of margaritas, Cocina 214 is a popular Happy Hour spot. 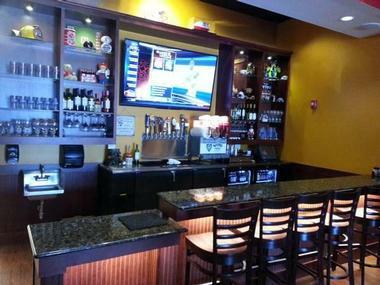 Cocina’s take out menu is diverse and extensive, so it is tempting to stop by on the way home from work to pick up a treat for the family. Embrace the joys of spring with a visit to the Epcot International Flower & Garden Festival held at Disney World’s Epcot Center in Orlando. The annual festival includes a variety of exhibitions, displays and activities for the whole family. 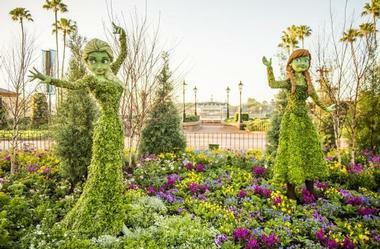 Stroll around the magnificent topiary gardens where you will see over 100 topiary displays, gardens and exhibits in the form of popular Disney characters, as well as a magical garden. Sate your appetite with seasonal tastes as you stroll around the park, sampling new spring-inspired flavors at every stop along the way, such as fresh sushi from Hanami near the Japanese Pavilion or zesty Latin American snacks from Botanas Botánico.